It’s “me” time again here on the old blog, with Cee’s Share Your World series. Blue, violet-blue, that sort of colour. 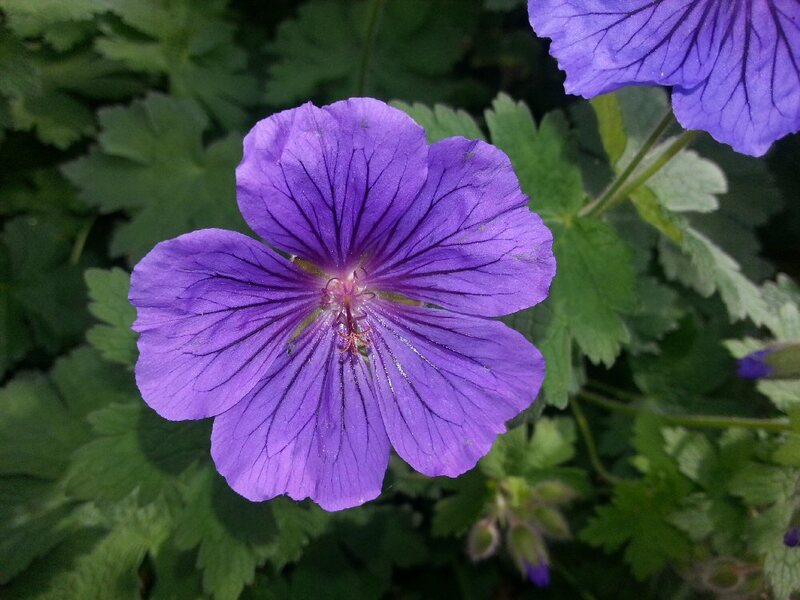 This sort of colour, which was in my garden during the summer. I quite like sitting near water when it’s warm as sunny, preferably with no-one else around. Maybe here, at Tintagel. 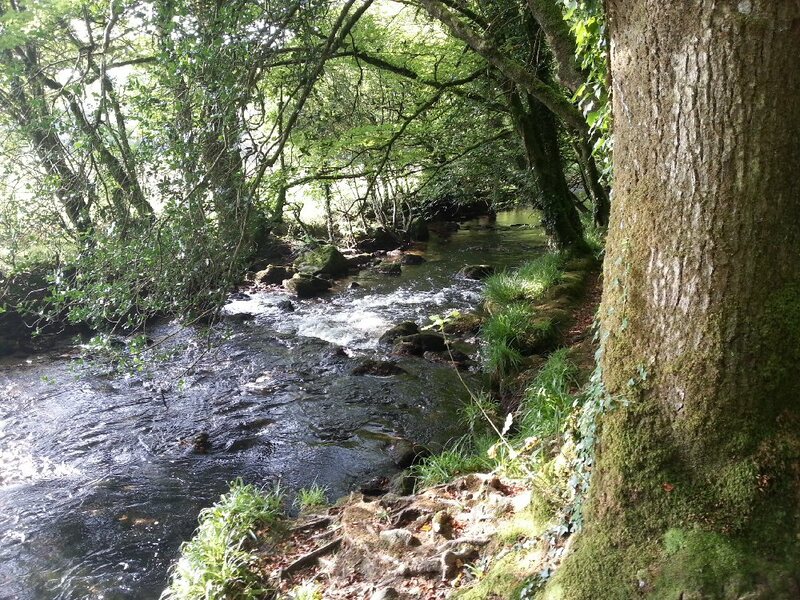 Or here, at Golitha Falls. I don’t need any of these things! As a singleton, I can read or do crafts and whatnot anywhere I like :-). If I had to choose though, I would go for a reading nook, whatever that is. There are so many great quotes out there that I can’t remember any of them. Since it’s quite topical, here’s a conversation snippet from one of my favourite comedies, Blackadder Goes Forth, which was set in the First World War. A sad commentary on the inadvisability of using a deterrent to keep the peace (the nuclear deterrent today?). incredible mixed of images and meanings! They are pretty nice places to relax. Go away, people! 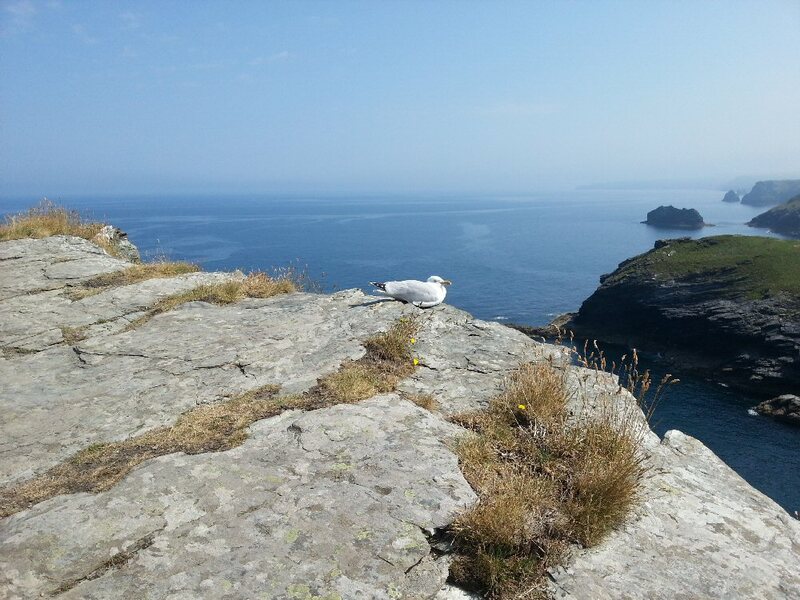 Tintagel… I am so jealous! If I ever come into money, Cornwall is one place I want to go. I’ve promised my friend we’ll go together so she can show me around–her being a Cornish lass an’ all. LOL every time she watches Doc Martin she starts crying. My favourite is the sound of running water over stones, it is very soothing. It’s criminal that Tata Sky have axed all the classic BBC comedies 😦 I can only assume that the BBC were demanding more than Tata were willing to pay. 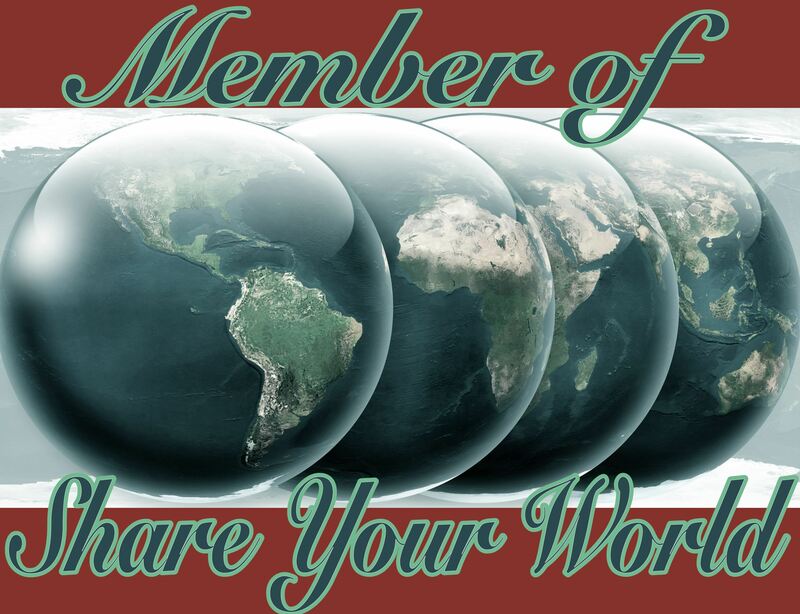 Great post for share your world. Thanks for sharing. Golitha Falls is sort of North East Cornwall, I suppose, out in the middle of nowhere. Near Bodmin Moor. I think your favorite color is awesome. Most men that I know wouldn’t admit to liking any forms of pink or purples. BTW purple is my favorite color. I prefer that whole part of the spectrum to reds and yellows. I think you would enjoy camping in a single tent and a cat food can stove. Look it up, perfect for light (weight) outings. Carry your water and dried food, many are delicious. You can sleep so close to water in a single tent. I’ll check if I can buy Blackadder. Off Topic, you see the awards in science show, Breakout or Breakthrough stars. It was awards in each field where two people in separate labs studying the same thing teamed up to discover something major in their field by working together? I watched the entire show and was fascinated. Sounds nice to wake up in the morning to the sound of a bubbling brook. If you find Blackadder, let me know what you think! I haven’t seen Breakthrough Prize Awards but it sounds interesting. I’ll have to see if it’s available to watch here. There were so many even from that one episode, it was hard to decide! Love that color also, so vividly beautiful!! Both of those pictures look absolutely lovely and so peaceful – Great spots!! They are both places where you could just sit all day and read, or just think. No Second Chances Bring on the raccoons!